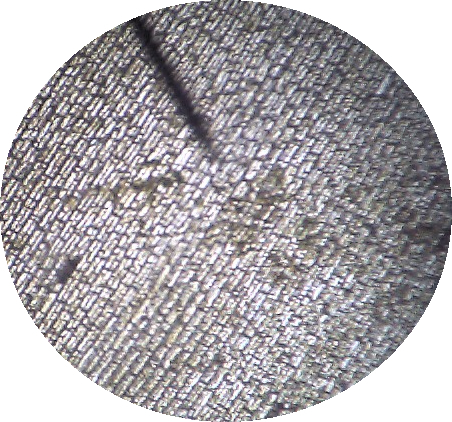 In the lab, we cut an onion and removed a tiny portion of the inside where cells can be viewed. 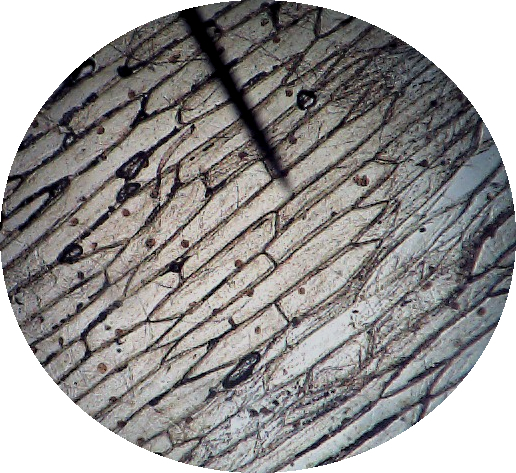 To make it easier to cell the cells and the nucleus, a drop of iodine was placed on the slide. 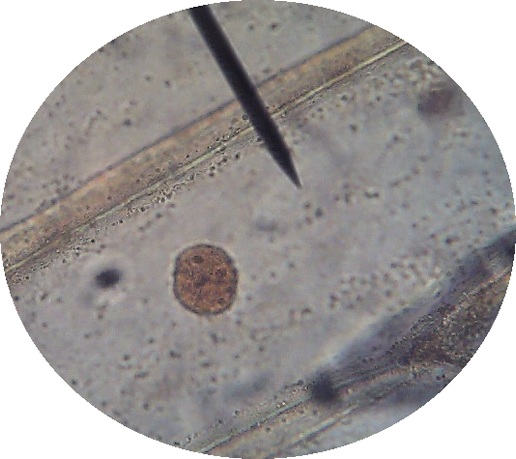 Normal onion cells are clear (or white) but the ones pictured are orange due to the iodine stain. Use these images to complete the make-up lab. 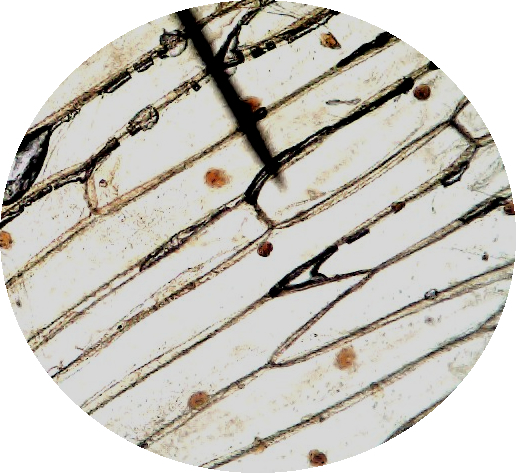 Then we viewed the anacharis plant cells. 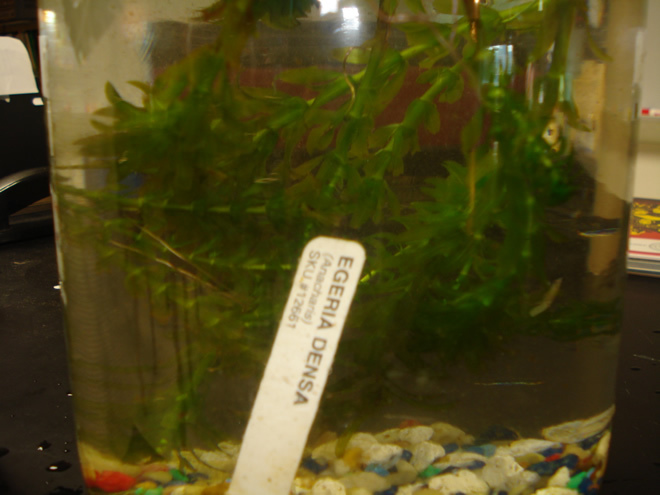 Anacharis, also called Elodea is a common aquarium plant. 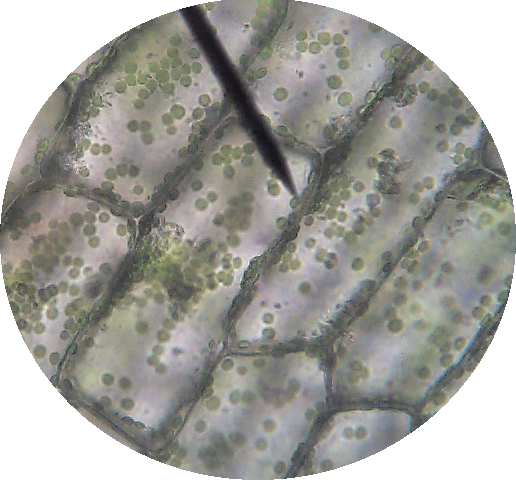 The green dots you see are actually chloroplasts. Play the video and you can see them move throughout the cell - a phenomenon called "cytoplasmic streaming". 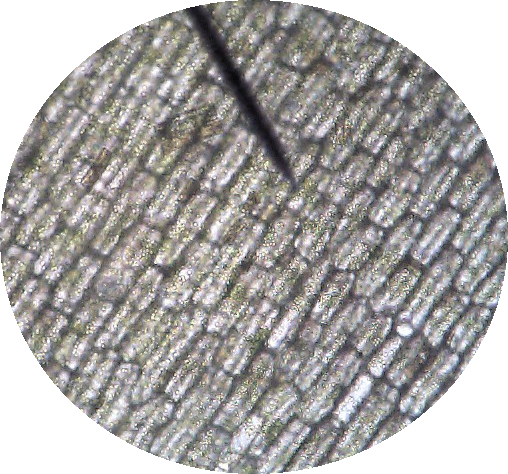 The nuclei of the plant cells here are difficult to see because the chloroplasts take up so much space in the cell. On the image above, the nucleus in two of the cells is seen as dark blobs in the center.